Former American Vice President Joe Biden has added a new furry-buddy to his family: a German shepherd named Major. 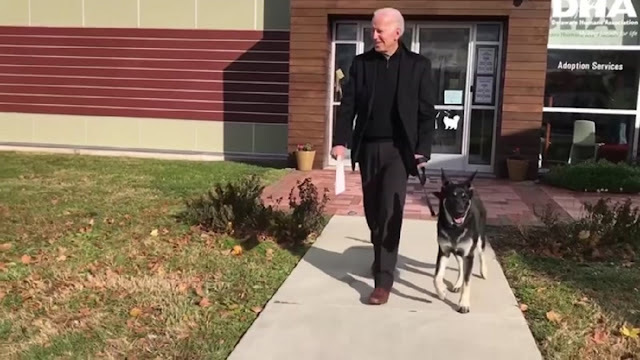 "We are so happy to welcome Major to the Biden family, and we are grateful to the Delaware Humane Association for their work in finding forever homes for Major and numerous other animals," read a statement from the Biden’s, signed the former vice president, his wife, Jill Biden, and Champ, their other German shepherd. The Delaware Humane Association publicized the adoption news on Facebook, writing in a post that Major "is from the litter of German shepherd pups that were surrendered and not doing well at all." As soon as Biden "caught wind of them," he "reached out immediately," the Association said on Facebook, adding, "The rest is history!" The Biden’s had been raising Major, the group said on Facebook, thanking the family and wishing them luck with their new dog. "Today is Major's lucky day! Major did not only find his forever home, but he got adopted by Vice President Joe Biden & Dr. Jill Biden!" the post said. Joe Biden is considered a top potential 2020 Democratic presidential candidate. As vice president, he would hand out stuffed-animal versions of his other dog, Champ, to kids. Champ also goes with Biden into his office in Washington, DC, from time to time.